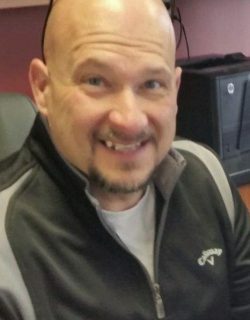 Kenneth Dean Taylor, 50 of Lima, formerly of Somerset and Nicholasville, KY and Pickerington, OH, passed away November 30, 2018, at his residence. Ken was born June 8, 1968 in Fairbanks, AK to Kenneth Taylor, who preceded him in death and Susan Hupprich who survives him in Fairbanks. On February 4, 1989, he married Renea Litzinger Taylor, who survives him in Lima. 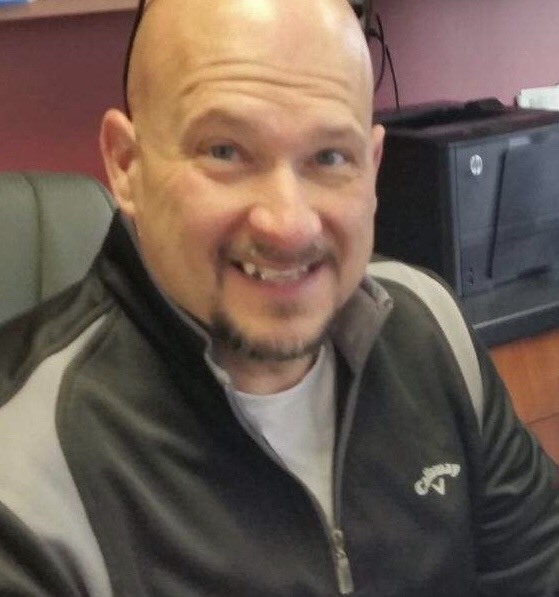 Ken is a 1986 graduate of Sheridan High School and he was the General Manager at Taylor Hyundai of Findlay. He worked in the Automotive Industry for 30 years in Columbus, Ohio and Kentucky. Ken was a Kentucky Colonel for the state of Kentucky. He loved boating and camping at Lake Erie and Put-In-Bay; his favorite family vacations were at Myrtle Beach. Ken could fix anything; he loved fishing, guns, motorcycles and Corvettes, collecting watches and tech. He loved his job and everyone he worked with, but family, especially his kids, was always his number one. Ken had a sense of humor like no other and he could light up a room. In addition to his wife and mother, Ken is survived by his sons, Anthony Taylor and Treay Taylor; daughter, Izabella Taylor; step-mother, Patti Cox of Reynoldsburg; sister, Audrey Taylor of Bremerton, WA; half-brother, Robert Alan Smith of Cunningham, TN; grandfather, Joe McCoy of Mt. Perry, OH; sisters-in-law, Rochelle Huegli of Aloha, OR, Roberta (Paul) Kneller of Hebron, OH and Rhonda (Jim) Weese of Hebron, OH; brother-in-law, Robert F. Litzinger of Newark, OH; nephews, Zach Huegli, Shawn (Jim Hammond) Weese, Tyler Weese and Ryan (Brittany) Weese; nieces, Taylor Curtin, Jordan Curtin, Sarah Huegli, Jessica (Chris) Bristol, Elizabeth (Tyler) Limbaugh, Anna Marie Huegli, Ashley Kneller, Karley Kneller and Aliviya Litzinger and many great nieces and nephews. In addition to his father, he is preceded in death by his brother, Tony Taylor; grandmother, Audrey McCoy; father-in-law, Robert E. Litzinger; mother-in-law, Roma Litzinger and his nephew, Travis Litzinger. A memorial service will be held at 1:00 PM on Friday, December 14, 2018 at CHILES-LAMAN FUNERAL & CREMATION SERVICES – SHAWNEE CHAPEL. Friends may call from 12:00 PM until the time of the service at the funeral home. In memory of Ken, please watch his favorite movie, National Lampoon’s Christmas Vacation, and think of him while you’re laughing. In lieu of flowers, please make memorial contributions to and account at Chase Bank in Izabella Taylor’s name.